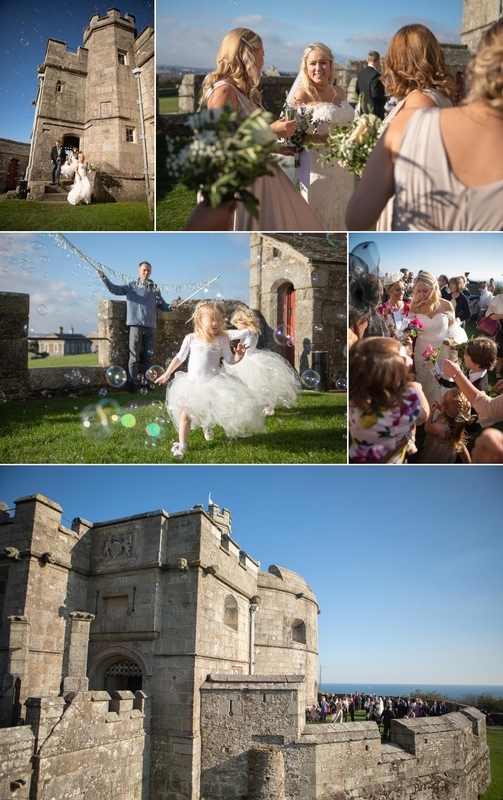 It's always a treat to photograph a Pendennis Castle Wedding and Gemma and Chris' wedding was no different. They discovered us after a referral from English Heritage and I'm really glad that they did. 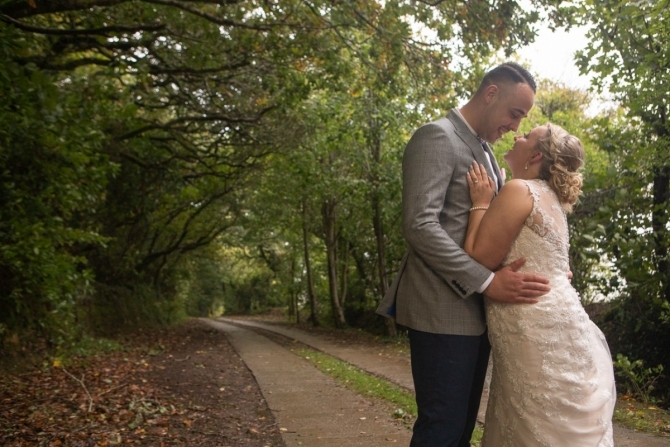 Gemma and Chris are such a lovely couple but unfortunately I didn't get to discover just how lovely until the actual wedding day as we didn't get to meet up prior due to logistics and timeframe. 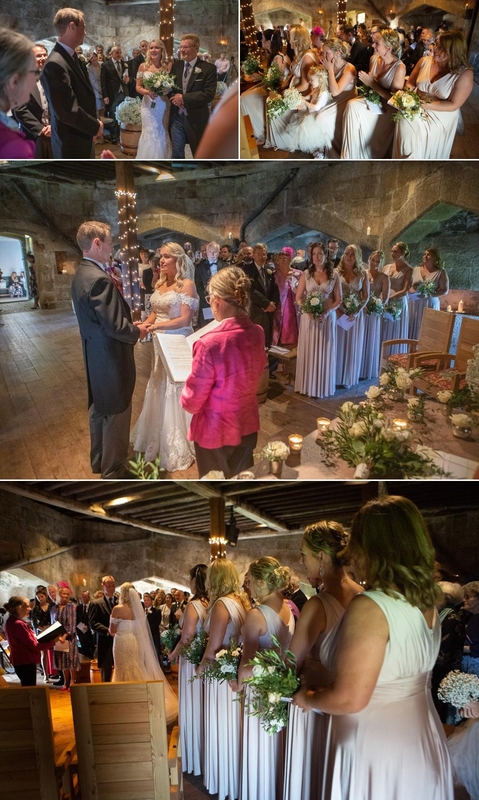 So we only planned their wedding day over the phone whilst they were on their journey down to Cornwall for the actual wedding. 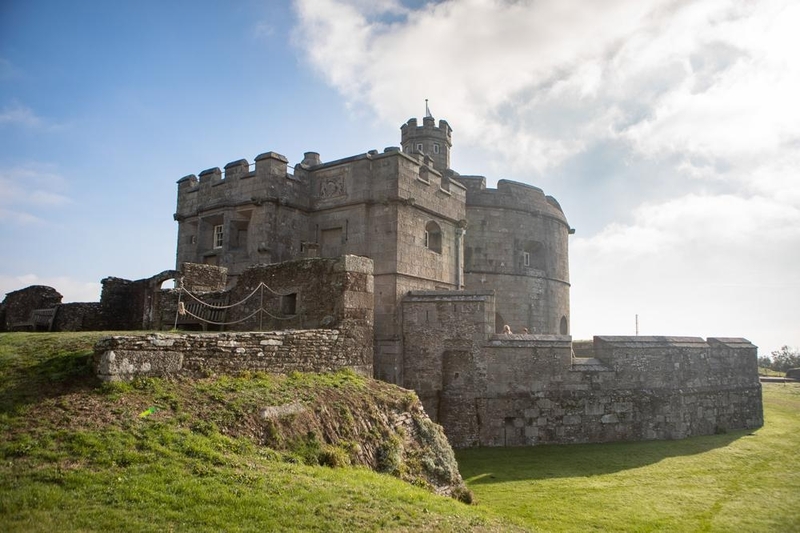 My day started with meeting Chris and the boys in one of the two cottages within the walls of Pendennis Castles grounds. They were all such a great group of fellas in their early forties, but there was something very special about this group of groomsmen. Since photographing weddings since 2007 I've never had a wedding where all six of the grooms party had gone to school together, you could tell that there was this invisible bond between them all. 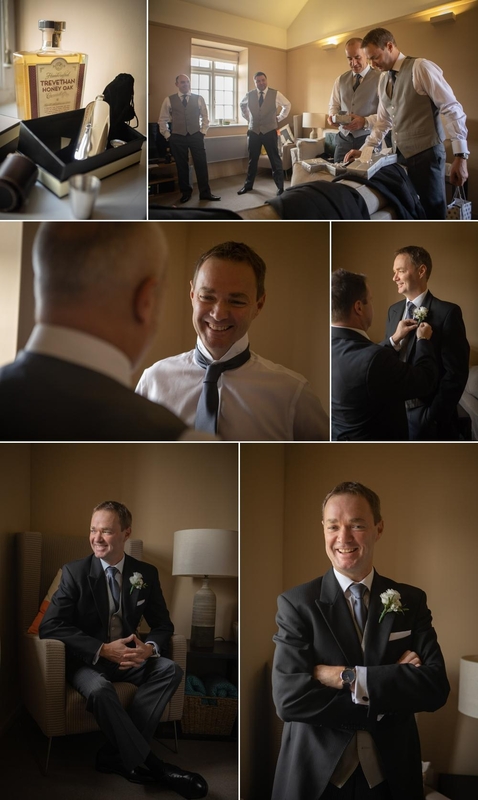 The gents wore black with pinstripe grey morning suits from 'Moss Brothers' with a white rose for their buttonholes. 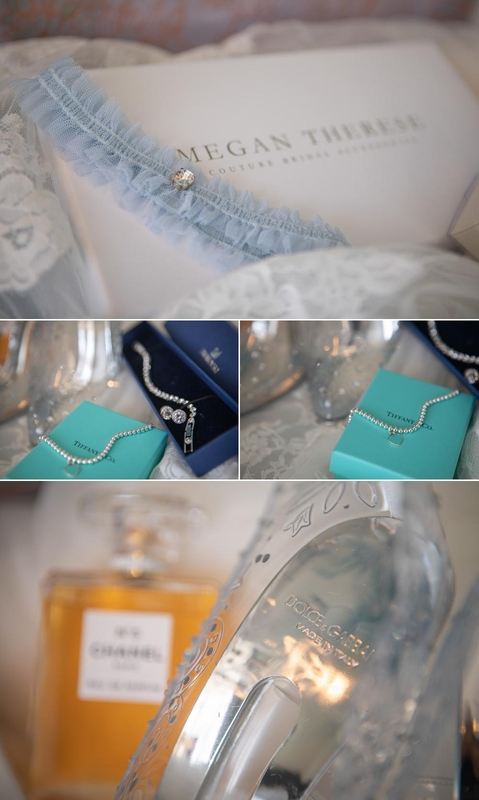 Once dressed chris gave out gifts to all the groomsmen of monogrammed hip flasks, shot glasses and a big bottle of gin, not to mention a magnum of Verve Clicquot. 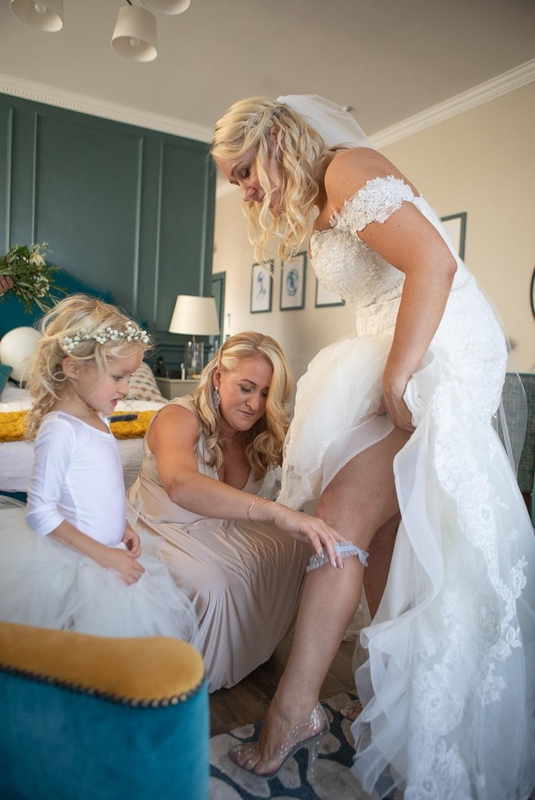 Then it was time to head over to 'The Greenbank Hotel' on the other side of Falmouth where my wife 'Tamsyn Siddiqui' was doing all the makeup for Gemma and her bridesmaids in the bridal suite, along with 'Rochelle Winter' doing the hair. 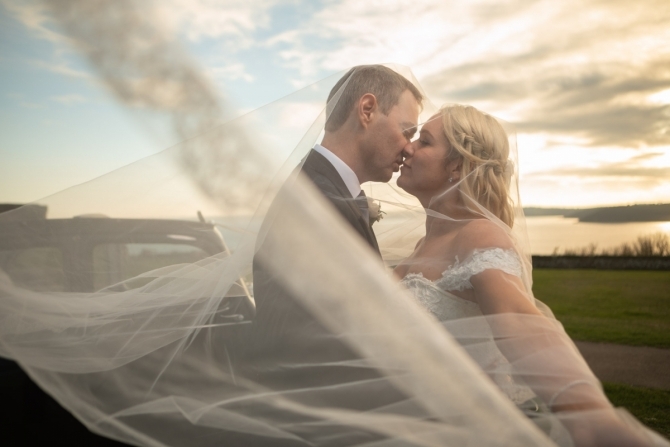 Gemma chose a stunning off the shoulder gown in off white, in the La Sposa range by Pronovias which she sourced from 'Mirror Mirror' in London, and wore crystal slippers by Dolce & Gabbana. 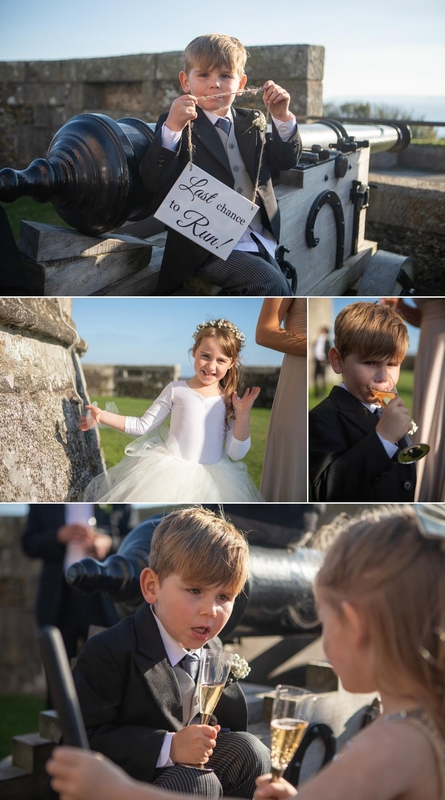 She also had four little ballerinas in tutu's and ballet slippers as her flower girls who seemed to be just as excited as the adult bridesmaids. 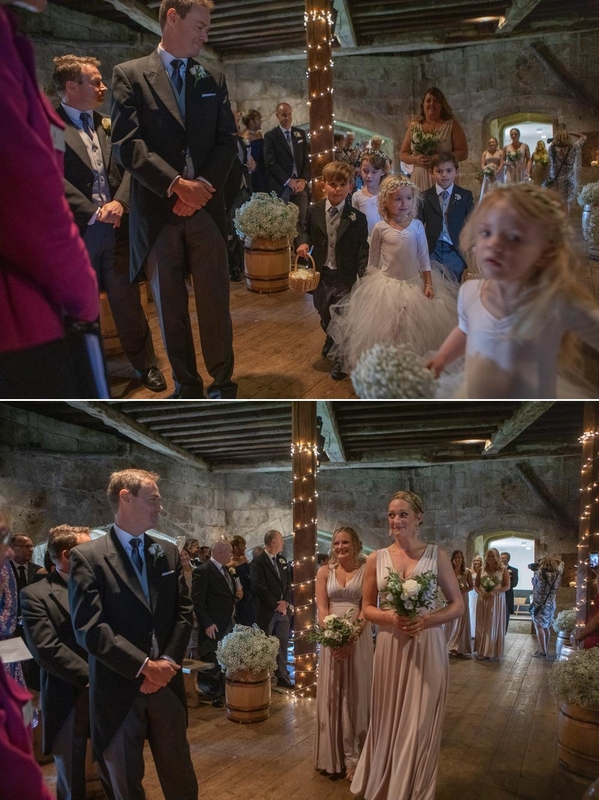 Gemma finished her look with bouquets from the lovely florist 'George Mackay'. 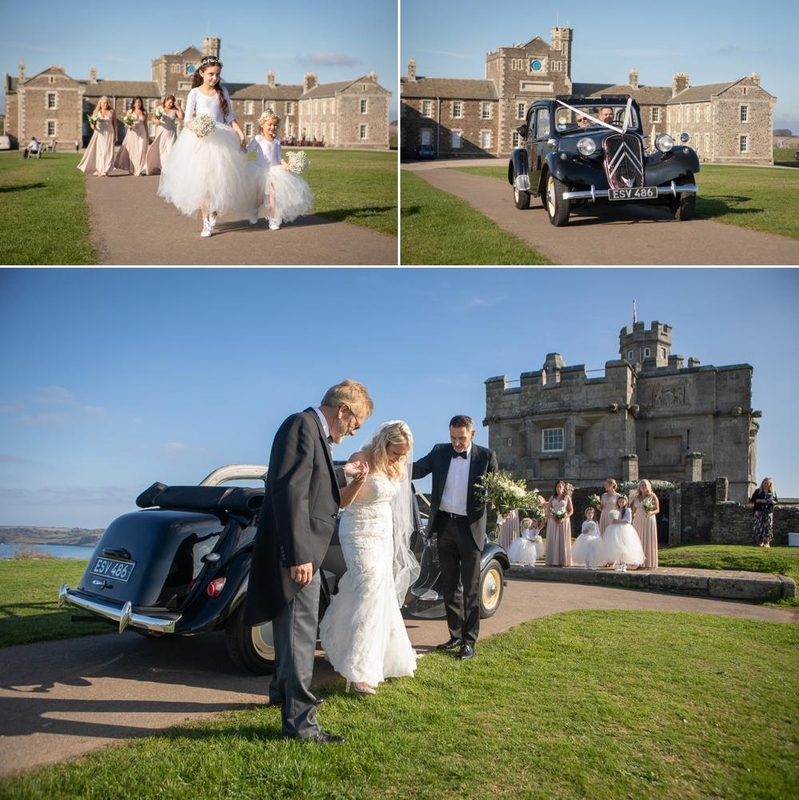 Gemma and her father had the pleasure of being driven to Pendennis by her future brother-in-law in his vintage soft-top Citron which he drove down from London. Bless her I think Gemma was possibly one of the most anxious brides I've ever had the honour of photographing, but as soon as she saw Chris she seemed like a different person with the relief on her face. 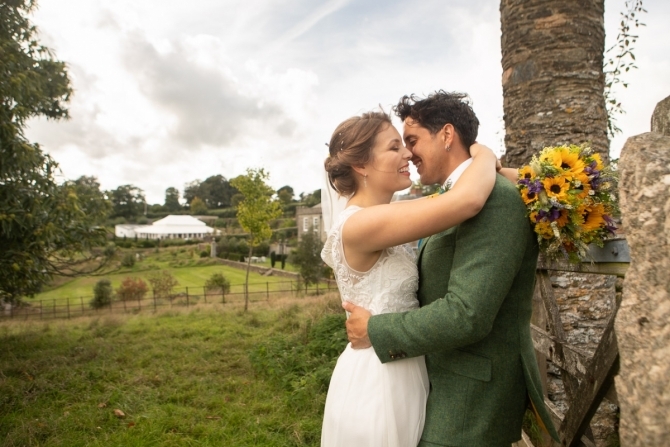 I really do think someone was looking down on us that day, bearing in mind it was late October we were outside in the chamise for two hours after the ceremony and the weather was glorious. 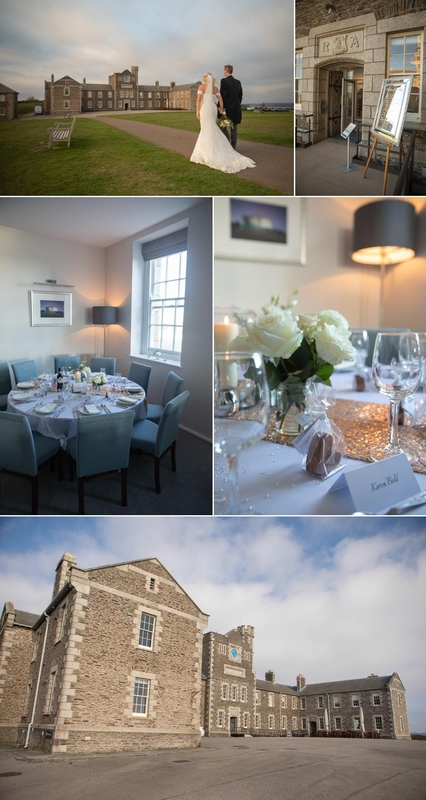 The ambience was only made better by the amazing Jamie and his team at 'Beetham Foods' serving canapés and champagne along with the air being filled with bubble curtesy of 'Really Big Bubbles'. Not wanting anyone to feel left out Gemma even got non alcoholic champagne and flutes for the children too. 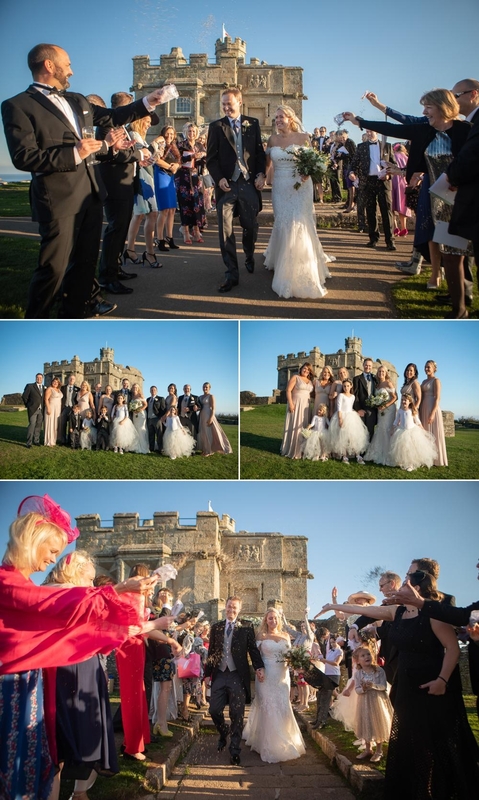 After the confetti tunnel the heavy guns at the castle were fired to announce the wedding breakfast in the Barrack Block, so we made the most of the time by taking Gemma and Chris off for a few photos around the castle while everyone found their seats, starting inside. And on the roof top. 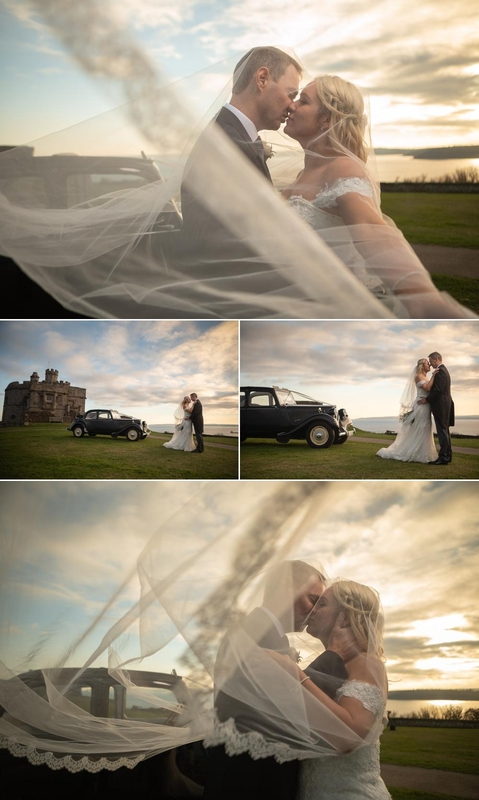 Then back out to the front of the castle with their wedding car and a dreamy sunset. Gemma and Chris used the bridesmaids bouquets as the table centre pieces and went for chocolate hearts for the wedding favours. And something that I thought would make a lovely souvenir from their wedding day, Gemma and Chris had an ornate silver mirror sign written to show the guests where they were sat, so they had a record of all the guests they had on their wedding day. Now here's something I'd heard of but never seen at a wedding, a champagne tower. Gemma and Chris poured five magnums of pink champagne into this tower so the guests had drinks for the toasts during the speeches. For the evening entertainment they booked 'Kaj' (pronounced Kai) a local Cornish musician who sings a mix of modern and classic hits as well as playing on the keyboard and guitar. The evening was rounded off with a firework display to music, presented by 'Celebration Pyrotechnics'. 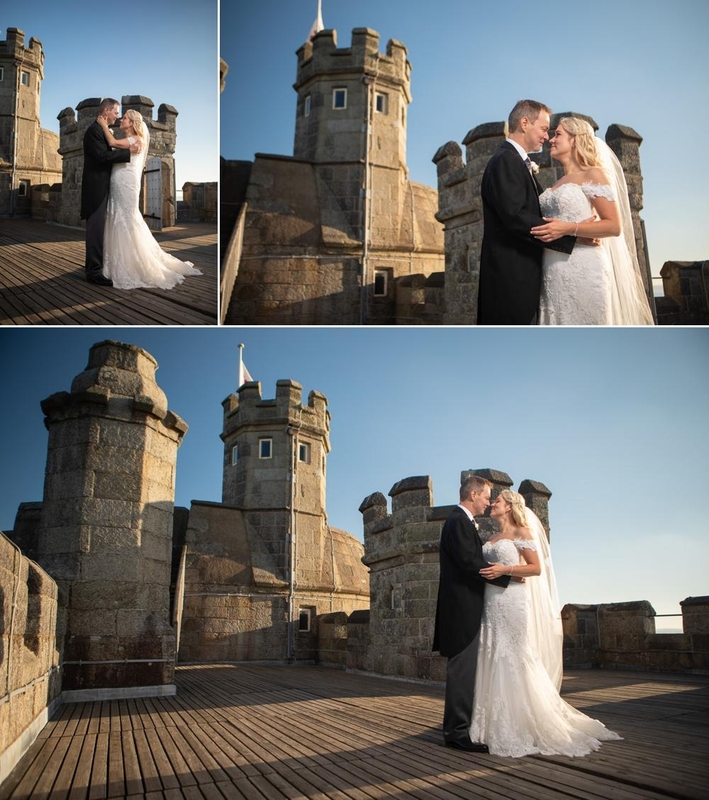 Dearest Gemma and Chris, thank you So much for having us as your wedding photographers and makeup artist, we loved being a part of your very special day, and know that with friends like you've got you're going to have a long and happy life together!